Dell empowers organisations around the world with technology solutions designed to make your dreams reality. Dell has always embraced SMEs and worked to improve their capital and staff satisfaction. As a Dell EMC Partner, ITEC provide storage, security and wireless infrastructure to professional services, law firms and estate agents.  ITEC has access to an extensive range of Dell products, the most up-to-date knowledge and can pass on discounts to customers. From enabling mobility to protecting important data, technology is disrupting how you do your job. As a Dell EMC Certified Partner, ITEC work with professional services to evolve their work processes and install security measures that keep your data safe. Dell’s hardware and cloud-storage software maximises customer expenditure and is the best fit for all budgets and technical requirements. Dell products are also scalable and can handle the higher capacity needed by larger companies. Dell’s product range includes the Secure Remote Access (SRA) series of hardware and software. With a strong SRA, staff can remotely access your IT Infrastructure securely. Dell products maximise mobility by being BYOD friendly and grant your staff freedom to work from wherever they want. ITEC provides excellent internet security with Dell SonicWall products. From Hardware Firewalls to Email Scanning and content filtering for staff internet access, Dell SonicWall matches every SME price point and its vast product range means it can easily be tailored to your requirements. With ITEC on our side, we feel we are in a position to think about how we use IT to push the business forward and deliver the best possible service."